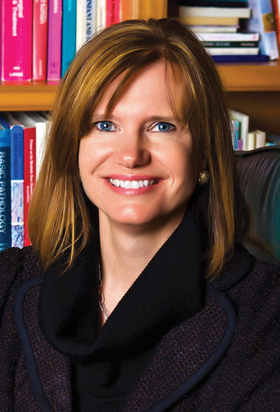 Dr. Catherine MacLean is chief value medical officer at the Hospital for Special Surgery in New York City and chair of the American College of Physicians' Performance Measurement Committee. If "quality" is the most important thing we provide in healthcare, I believe the way we measure it is equally important. But I also know that belief and practice are very different things. Today, metrics of convenience continue to win out over measures that truly matter, blurring our view into how true quality in care is evolving—or if it is evolving at all. There is an urgent need to put better quality measures into practice. A newly released study in the New England Journal of Medicine by the American College of Physicians' Performance Measurement Committee found there are serious flaws in physician performance metrics. Of 86 performance measures assessed, only 37% were found to be valid. Bad measures are a waste of time and money—and worse, they can be harmful to patients. U.S. physician practices spend, on average, more than $15.4 billion and 785 hours per physician reporting quality measures each year. That's over $40,000 per physician per year, and more than the current budget request for the Internal Revenue Service in the aggregate. But what are we measuring through those efforts? Metrics of convenience—like ones based on easy-to-collect administrative data—have become standard due to pressures for "more measures" while reducing the "burden" on the delivery system. While they may be accurate, they often do not measure what's most important in terms of improving health and achieving patient safety goals—and the current approach is indeed burdensome to the delivery system. Quality reporting should facilitate quality improvement activities within the care delivery system and afford transparency to consumers so they can select high-quality providers or avoid low-quality providers. Some quality reporting systems do neither. For example, while the CMS' "five-star" hospital ratings system is a worthy concept, the roll-up scores across conditions and procedures end up obscuring quality at the level of the condition or procedure—exactly where we could make significant gains in quality. Another problem is the scale we use for reporting. In the U.S., the healthcare industry generally measures quality on a relative scale. For example, it looks at the number of complications at a hospital compared with the number of complications at other hospitals. In this rating system, half of hospitals will always be rated as better than the other half—regardless of whether any or all of the hospitals are performing at a level that would be considered high quality. In contrast, the National Highway Traffic Safety Administration measures new-car safety on an absolute scale, meaning it looks at a car's safety against a set standard—not against another car's performance. The NHTSA has defined a set of meaningful safety standards and reports whether or not they are met. Carmakers strive to achieve these goals, and consumers factor these ratings into purchase decisions. This rating system has helped improve auto manufacturing quality immensely, making today's cars the safest in history. Defining healthcare quality in terms of meaningful measures that promote health will not be quick or easy. We've seen this in our own research at the Hospital for Special Surgery, where we identified a need for greater consensus around standardizing methods used to calculate patient-reported outcome measures for hip and knee replacements. The reason? Even though most would agree that patient-reported outcomes should be key performance metrics, the calculated scores varied significantly depending on which method was applied. Thoughtful work is needed to sort out how meaningful measures in healthcare should be used to assess quality. Quality measurement should be an integral part of real-time care delivery. Let's redirect the current administrative costs to collect measures that matter and reimagine care delivery activities that include routine collection and reporting of measures that matter at the point of service. By refocusing on measures that truly matter today, we have a defining moment to make measuring quality more meaningful and be of greater service to our patients—now and far into the future.